Making sure your home is kept at a comfortable temperature, your hot water is on hand when you need it, and no heat is wasted while everyone is out of the house requires the correct heating controls for your daily needs. Digital heating controls offer users more flexibility than simpler, standard ‘teeth/dial’ controls. Not only do these digital programmers feature up-to-date LED screens for an easy to read display, they also allow for more control over your heating schedule. With digital controls, you can manage your heating requirements not only over 24 hours, but also for each day of the week. 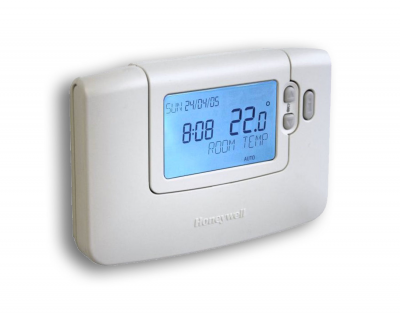 Honeywell’s digital heating controls are included with every Rightio boiler, at no extra cost! Internet connected thermostats offer the highest level of heating control – whether that’s from your sofa or from the other side of the world! These smart heating controls allow you to monitor, set, change, turn on or turn off your heating – all through your smartphone – ensuring you always return home to the perfect temperature. 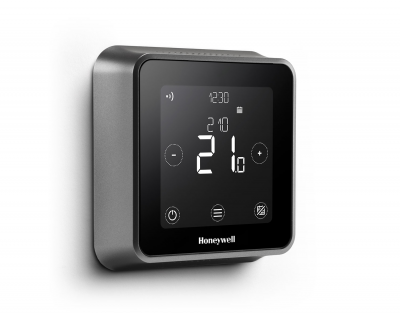 If you would prefer to upgrade your heating controls to these smart, Honeywell internet connected models, just ask our friendly team! 7 and 5/2 day bespoke scheduling, with up to 6 time periods a day!